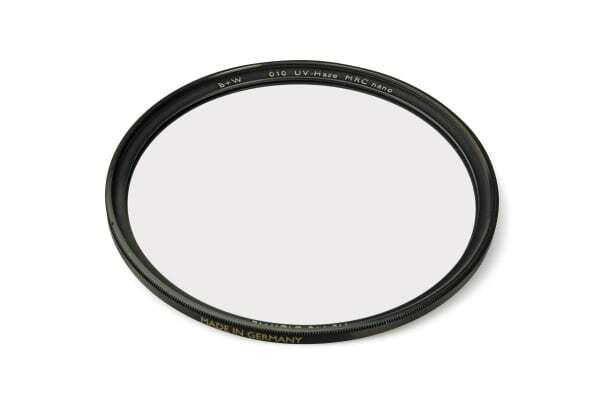 The B+W XS-Pro 010 UV Haze MRC Nano Filter – 77mm blocks UV rays from the sky which can cause your shots to blur and produces an unwanted blue cast when used with many colour films. The filter has a Multi-Resistant Coating (MRC) with nano technology which, with its anti-reflection properties, reduces flare and ghosting. The nanotechnology-based feature produced a better beading effect with water, making the filter easier and faster to clean. The filter also keeps the camera lens from becoming scratched, dirty or wet.